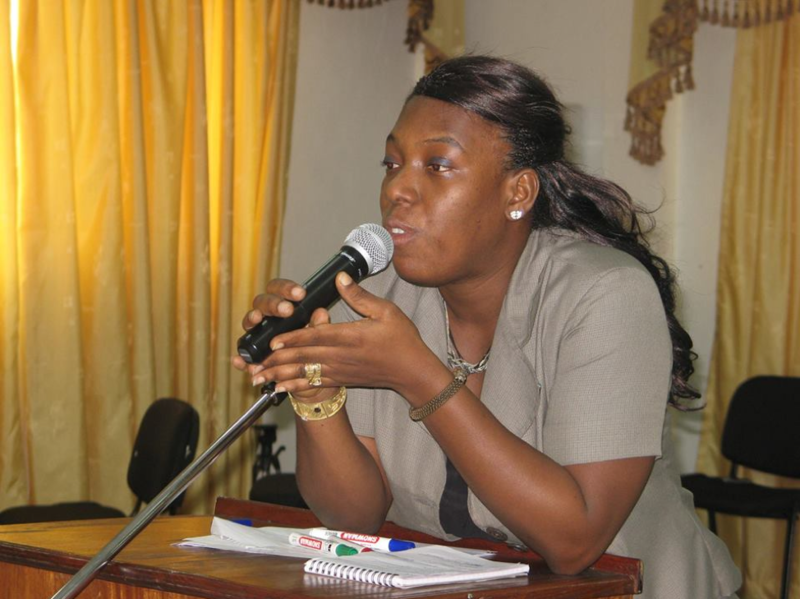 MONROVIA – The Public Procurement and Concession Commission (PPCC) has announced Mrs. Jargbe Roseline Nagbe Kowo as its new Executive Director who will officially assume office Friday, April 5. Madam Kowo is the wife of Liberia’s Comptroller General, Mr. Janga Kowo. She replaces Mr. James Dorbor, an integrity idol who served a four-year tenure that expired in September 2018 and officially left office in December last year. The PPCC is an integrity agency established in 2005 by an ACT of Legislation to regulate all forms of public procurement and concessions with the statutory power to stipulate methods and procedures. According to a PPCC statement released, Madam Kowo was recruited through a competitive bidding process under the supervision of The Civil Service Agency and observed by International Development Partners. The release states that the new PPCC Executive Director is an Attorney-at-Law and a 2011 Graduate of the Louis Arthur Grimes School of Law and a member of Liberia National Bar Association (LNBA). She is also a member of the Chartered Institute of Purchasing and Supply, (CIPS) based in the United Kingdom. The new PPCC Executive Director has worked in the procurement sector spanning more than half a decade. She has worked with the National Elections Commission (NEC) as Procurement Director since 2014 delivering on Procurement Commitments at the NEC with a high level of efficiency and effectiveness. The New PPCC Boss holds a Bachelor of Science Degree in Economics from the University of Liberia in 2006. In 2011 she graduated from the Louis Arthur Grimes of Law before being admitted as Attorney-AT-LAW at the Liberia National Bar Association with membership to the Grand Kru County Bar. Madame Kowo holds a Certificate in Strategic Public Procurement from the Chartered Institute of Procurement in 2016. In 2017, Madam Kowo received an Advanced Diploma in Public Procurement from the same institute based in the UK and in 2018 she completed the level four with the award of a Diploma in Strategic Procurement from the Chartered Institute of Purchasing and Supply. Before her appointment to the Public Procurement and Concession Commission, Madame Kowo held several managerial positions at the National Elections Commission. She served as Director of Gender where her responsibilities among other things were to develop programs and strategies for gender parity in the country’s electoral system. The New PPCC Boss also served as Acting Director of Civil and Voter’s Education at the National Elections Commission charged with the responsibility of designing projects and implementing strategies to increase voters’ participation in electoral processes.